Lizza just weigh in and pick out a same name from one of Chris Brown song. However, Tempo is out with another version from Lizza Feat. Missy Elliot is turned to be the Becomes 1st Female Hip Hop Songwriters Hall Of Fame. 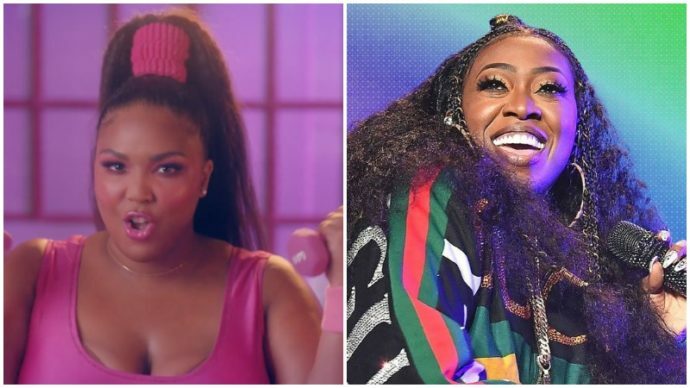 Lizzo revealed that she heard about Missy’s contribution to her track via text. “She sent me a memoji of herself singing her verse, thats how I got the verse… I got a memoji of Missy like smiling and then she just started rapping, and I was like, ‘OMG what the hell’ so I had to hook it up to my speaker system. But it wasn’t even the actual track, it was like her going along in her studio.” You can watch below.